The ​Antonio Brown saga keeps getting murkier. The ​Pittsburgh Steelers' star receiver was pulled over for ​speeding in November, and was separately involved in a ​domestic dispute with the mother of his child in January. There was also an incident in which Brown ​threw a piece of furniture off of a balcony, putting a child at risk in the process. Brown was due in court on Tuesday for the speeding incident but failed to appear, resulting in the 30-year-old receiving a guilty verdict in absentia. 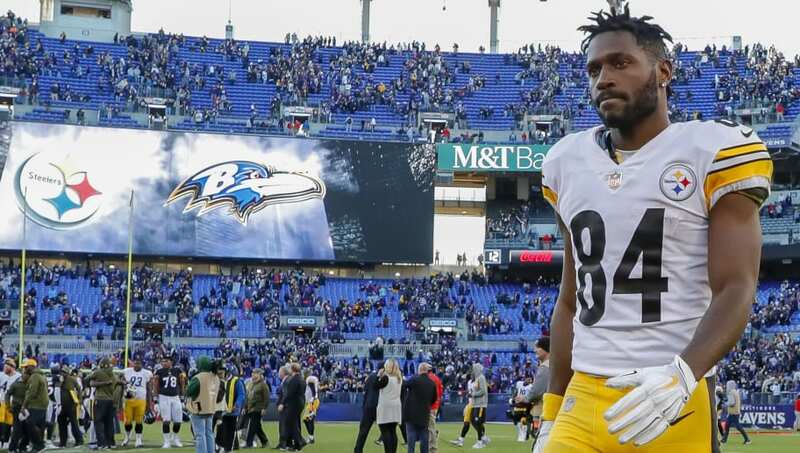 ​​Brown was cited for driving more than 100 mph after being pulled over in Ross Township, Pa. just hours before the Steelers hosted the Panthers. ​Brown's attorney left the courthouse alone and did not offer a comment after his client failed to show up. This is just the latest in a string of off-field incidents involving Brown which have severely harmed his value in the league. For a player trying to force a trade off of his team, Brown has not been making it easy on the Steelers' to find a trade partner, and his ​off-field antics have done real damage to his reputation. Hopefully the star receiver can get his mind right and stay out of trouble for a change, because he's not doing anyone any favors with how he's acted as of late.